How Can Structured Cabling Benefit Your Business? Home / How Can Structured Cabling Benefit Your Business? The network cabling infrastructure of your company might not look to be a very important part of your IT infrastructure; however, a small glitch in the cabling can wreak havoc on the company’s IT system, data flow and communication system. Your IT strategies will go awry whenever there is even a small problem with the network cabling. If you have a growing business, adding more applications or users will be a huge challenge in case your networking cabling infrastructure is faulty. 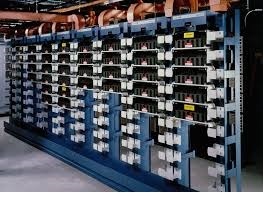 Your current business operations too will be heavily hampered if there are serious chinks in your cabling armour. You can carry out worry-free business operations if you implement the latest structured cabling system for supporting your IT infrastructure. 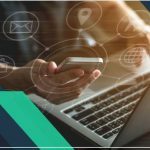 One Call Communications can provide completely integrated infrastructure solutions for maximizing the investment and supporting the organization. 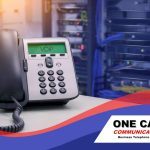 Some of the services that you can expect from One Call Communications include cabling system design and configuration, video cabling, fiber optics, and rack/data cabinet cleanup, server room solutions, and voice communications. You can expect to get great services from One Call Communications. If you have finally decided to try the new structured cabling system then it is about time that you make an informed choice. The structured cabling system is the only component of your network that enjoys a very long life cycle. It might not take up a huge chunk of your network investment but an improperly designed cabling system can spell doom for your company and soar your operational costs by almost 80%. The costs of downtime too would increase your operational costs by many fold. The choice of your structured cabling service provider can make all the difference as they are the ones who would create the plan and execute the additions, changes, moves and upgrades. Thus, a good service provider can minimize downtimes and enhance the productivity of your business systems and employees. This is where it is a good idea to turn to One Call Communications. There is a unified structure when you implement the structured cabling system. This automatically eliminates the multiple wiring systems at your office. In structured cabling, data, irrespective of whether it is in video or voice or any other format), is carried by only one unified structure. Irrespective of which device you connect to the network, you will just have to plug the adapter to the respective socket. Structured cabling solutions carry a full site warranty of 20 years and this covers all the components along with their performance faults. Thus, you will be able to enjoy complete peace of mind during and after the installation of a structured cabling system. You will be able to make changes and moves with ease and you won’t even have to make desk changes or restructuring of the departments. You will be able to simply plug in and start working from any part of your office. Thus, this type of flexibility will allow your company to save both money and time. Structured cabling has the ability to carry higher bandwidth thus it is a solution that would support all the other emerging applications. In the years to come, your structured cabling infrastructure won’t become obsolete. Management of a structured cabling infrastructure is extremely easy. It is highly cost effective when you are able to manage your cabling infrastructure without having to create multiple cabling systems. 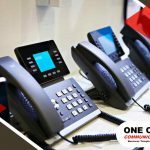 One Call Communications is a leading provider of phone systems in North Carolina. We serve thousands of clients across Greenville, Rocky Mt., Goldsboro, Smithfield, & Wilson. 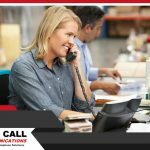 We sell, install, and service business telephone equipment, voicemail and, voice and data network cabling. We install and service premium quality products from Toshiba Telecom. We serve both commercial and industrial clients. Call us today for your networking and communication requirements.